Do Bag Bans Do More Harm Than Good? So We Ask The Question…Do Bag Bans Do More Harm Than Good? There isn’t a clear and easy answer to that question. Disposable plastic bag bans are intended to stop the use of plastic bags in order to reduce the negative environmental impact. As some cities have found out there can be some unintended consequences of passing a bag ban. Most single-use plastic bag bans target bags that are made from thin plastic, and with good reason. The thin, film-like bags are handed out in mass quantities and are seldom recycled. These disposable bags usually end up in landfills or as litter. Both of these scenarios offer various environmental impacts, but the basic problem is that these bags do not safely break down, or biodegrade, so once they are dumped in a landfill or become tangled in a tree they’re not going anyplace. Single-use plastic bags kill wildlife, cost municipalities millions in clean up and scientists are currently studying the impact of plastic on our food chain. Recycling is a great way to handle these bags, but not all recycling facilities accept disposable plastic bags and this makes it difficult and confusing for consumers to hand over their plastic bags. With all the trouble single-use plastic bags cause it is easy to understand why bag bans come about. The fine print of most bag bans specifies that thin plastic bags are not allowed. Stores can hand out bags – these bags just need to be reusable, and the quality that makes a bag reusable is durability. Some cities that have enacted disposable bag bans have seen an influx of retailers handing out thicker plastic bags, and this can negate the positive impact of the ban. These thicker bags tend to be reused a few times, which is great, but that’s where the advantages end. Basically, every problem the thin plastic bags caused, are still a problem with the thicker plastic bags. Some of the problems are even worse with the thicker bags. Since the bags are thicker they are more expensive to purchase, so stores pass that cost along to their customers. Recycling rates are not any better with these thicker bags and they’re still not biodegradable. In 2013 Austin’s bag ban began and since that time there is less plastic trash in landfills, which is great, but when shoppers do not remember to bring their reusable bags stores supply thicker plastic bags. These thicker bags are proving to be a new nuisance in Austin. The 4 mil thick plastic bags have a very high carbon footprint and are usually not made from recycled content, so more plastic is being created simply for the purpose of manufacturing these bags. These bags may get a few extra uses, but they ultimately are still ending up as litter or in landfills. Less plastic in landfills is positive, but the purpose of the ban was to completely eliminate plastic bags ending up in landfills. bring their own reusable grocery bags. 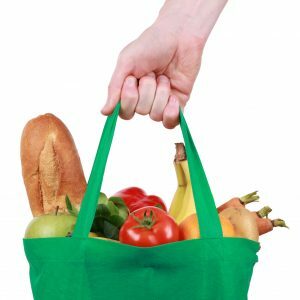 If a store offers 5- to 10-cents off for each reusable bag a customer brings this incentivizes shoppers to remember their bags, it’s easy for the retailer and it reduces the number of single-use plastic bags unleashed on the environment. An advocacy group in Chicago, Bring Your Bag Chicago, believes it would be more effective if retailers in the city offered a discount like this, instead of the city passing a ban which is set to begin on August 1, 2015. Each municipality that passes a single-use plastic bag ban tailors the ban to fit their needs, and as cities and counties and even entire states contemplate passing bans it is worth looking at the experience Austin has had with an increased use of thicker plastic bags. Disposable bag bans are proven effective at reducing the use of thin single-use plastic bags, and with some changes to the range of bags covered it is possible to create a law that would ban all types of plastic bags, thus reducing the negative impacts of plastic bags. Previous Previous post: Do Consumers Really Care About Banning Bags? Next Next post: Want the Hottest Trends in Custom Reusable Bags? Thanks for finally writing about >Do Bag Bans Do More Harm Than Good?